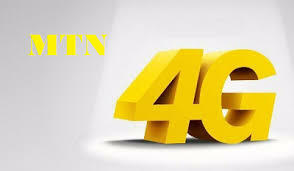 MTN network is looking forward for every of their customer to switch their old sim card probably on 2g and 3g network to the new trending 4G LTE sim card. Even though the network is yet to reach some cities or state in Nigeria. So they tagged the switching of old sim to 4G LTE a free offer of 5GB data, which is to be given after switching to 4G LTE sim card. So in essence, the eye catching data is meant for those who are willing to upgrade their old sim to 4g LTE sim card. Once you upgrade or get a new compatible 4g smartphone with an Mtn 4g sim card, then you are eligible to get the offer of 5GB data. The data in talk can be used to browse the internet, stream videos and music, download files, games or anything that a data can do. => Now if you receive such message from MTN above, have it that you are good to go. => Next thing to do is to visit any Mtn experience center or office to upgrade/update your old Sim to the latest 4g sim card. => Dial this code *131*4# to check your free 5GB data. Very easy and simple to get, as you can see that's all you need to do in order to enjoy this free data from MTN network. Like I said earlier on , the data works on any app, browser etc. Check Out The Full List Of 4G LTE Compatible Smartphone Within Kenya, Nigeria And IndiaIndia.